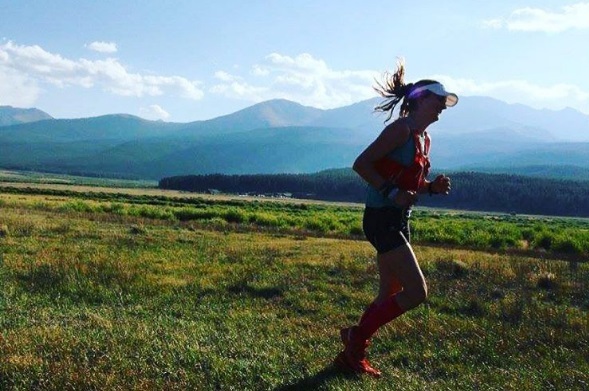 Clare Gallagher (Princeton ’14) decided to “go big” when she wanted to compete in her first 100 mile race. She had caught the passion for ultra racing while she was teaching English in Thailand after she had graduated from Princeton. Originally, she participated in the Thai ultra race in order to fill the void left an athlete gets when they have completed their NCAA eligibility. Now, she wanted to compete in one that was close to her hometown in Englewood, Colorado. It seemed like it was no big deal for Gallagher. Not only did she finish it, she won it in the second fastest time in the women’s race history – 19:00:24, the fifth fastest finish of the day. She was almost an hour ahead of the next female finisher and beat some other top names in the ultra marathon or trail running community, such as Cornell alum Max King. She credits her pacers along the final half of the course in helping her finish the race. The women’s record is 18:06.24 set in 1994 by Ann Larson, who famously battled Tarahumara runners of Mexico for the race title (depicted in the bestselling novel “Born to Run: A Hidden Tribe, Superathletes, and the Greatest Race the World Has Never Seen” by Chris McDougall). King was in contention for winning the overall race on Saturday in a new course record time, but fell out of leading contention around 80 miles into the race due to exhaustion. He was able to finish the race with the eighth fastest time in the field, 19:50:54. Ian Sharman won the race in 16:22:38. “That was a tough way to run ‪#‎LT100‬. Started great, cruising good and easy, think the altitude and double Hope Pass eventually did me in. Legs shut down at 78, walked it in. Ouch! But still got my belt buckle! Top 10 and just under 20 hrs,… Yes, I REALLY wanted that belt buckle. ‪#‎LT100‬ Left it all out there today, even my pride,” King shared on facebook. Of the 340 athletes who registered for the Leadville 100 this year, about 52% of the field was able to finish the race within the 30 hour time limit and received the finisher’s belt buckle. This finisher’s rate was a new event record. This entry was posted on Monday, August 22nd, 2016 at 2:50 pm. It is filed under Alumni, Princeton, Spotlight. You can follow any responses to this entry through the RSS 2.0 feed.